Google Cloud may be losing the battle for market supremacy, but with the war yet to be won, a secret weapon for the channel is emerging. In an ecosystem now 12,000 strong, developers and partners are turning to artificial intelligence (AI) as a means to unlock customer contracts, chasing big business through smart technologies. For the technology-focused media, the headline guaranteed to generate the most page views is a simple - Amazon Web Services vs. Microsoft Azure vs. Google Cloud. Lazy journalism perhaps, click bait absolutely, but in defence of the editorial elite, such a question remains unanswered. Akin to a fight between a lion and a tiger - or a shark and a whale - the cloud conundrum at this stage is best addressed by market share. For AWS, a casual nod to the numbers ends all debates with a mammoth stronghold across the globe. Look to Microsoft, and a quiet confidence exudes. With an army of channel partners totalling more than 300,000 - backed up an unrivalled global customer base - and ‘it’s just a matter of time’ springs to mind. But then there’s Google Cloud, a late horse to a race already one lap down. Being third in the cloud isn’t new information for a tech titan built on the foundations of internet search, yet the enterprise advantage could be through the creation of a more intelligent platform. “AI has evolved dramatically in the last two decades,” observed Fei-Fei Li, chief scientist of AI at Google Cloud. “Technologies like image recognition and machine translation are now a part of everyday life for millions. Yet for Li, the promise of such technology is far from being realised, with AI still a “nascent field of many opportunities and challenges”. 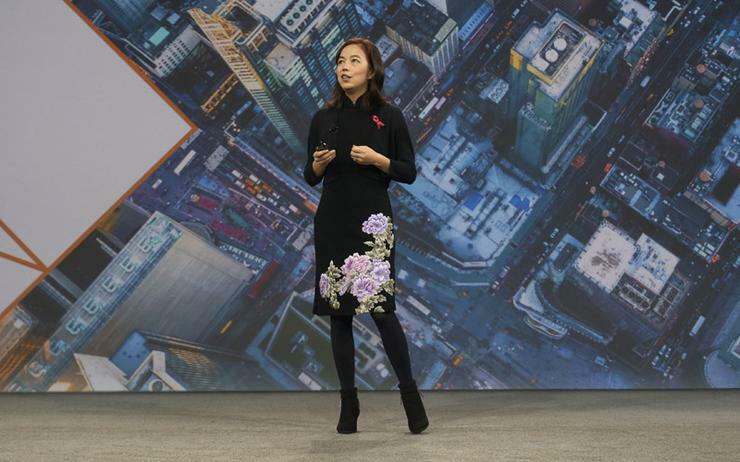 “AI is empowerment, and we want to democratise that power for everyone and every business - from retail to agriculture, education to healthcare,” Li explained. In addressing more than 20,000 partners and customers at Google Cloud Next ’18, Li acted on such plans by unleashing a new round of AI-centric products and enhancements. Specifically, Cloud AutoML Vision, Natural Language and Translation are available now in beta, alongside updates to Dialogflow Enterprise Edition. Not forgetting a new solution, Contact Centre AI, which is now available in alpha. According to Li, a “significant gap” exists between the extremes of what’s currently possible with machine learning. “At one end, experienced practitioners such as data scientists use tools like TensorFlow and Cloud ML Engine to build custom solutions from the ground up,” Li explained. For Li, many have needs beyond what’s available with pre-trained models, but don’t have the skills or resources to build their own custom solutions. To address this middle ground, Google Cloud announced Cloud AutoML earlier this year. “It makes it possible for anyone to extend powerful ML models to suit the specific needs of their domain, without requiring any specialised knowledge in machine learning or coding,” Li added. “Our first release, AutoML Vision, extends the Cloud Vision API to recognise entirely new categories of images. But Li acknowledged that image classification is “just one of countless applications” of machine learning. Hence the introduction of two new AutoML offerings. “AutoML Natural Language helps you automatically predict custom text categories specific to domains our customers desire,” Li said. In true Google Cloud style, the conveyor belt of customers to endorse such solutions were readily available, through Hearst Newspapers, Nikkei Group and Keller Williams Realty. “As one of the world's largest publishers of monthly magazines, with 25 U.S. titles and almost 300 international editions, the Hearst team is always looking for better ways to manage content,” said Esfand Pourmand, senior vice president of revenue at Hearst Newspapers. “We are looking forward to using AutoML Natural Language to apply our custom universal taxonomy to our content. To achieve such democratisation, the vendor introduced Cloud TPUs, custom processors designed from scratch to accelerate machine learning tasks. The third generation of such an offering is now available in alpha, in a bid to make support for larger amounts of machine learning computation possible for more businesses. Spanning hardware such as Cloud TPUs to software like AutoML - in addition to vertical solutions like Contact Centre AI - Li and her team are working to advance the state of the art while lowering the barrier to entry to AI.